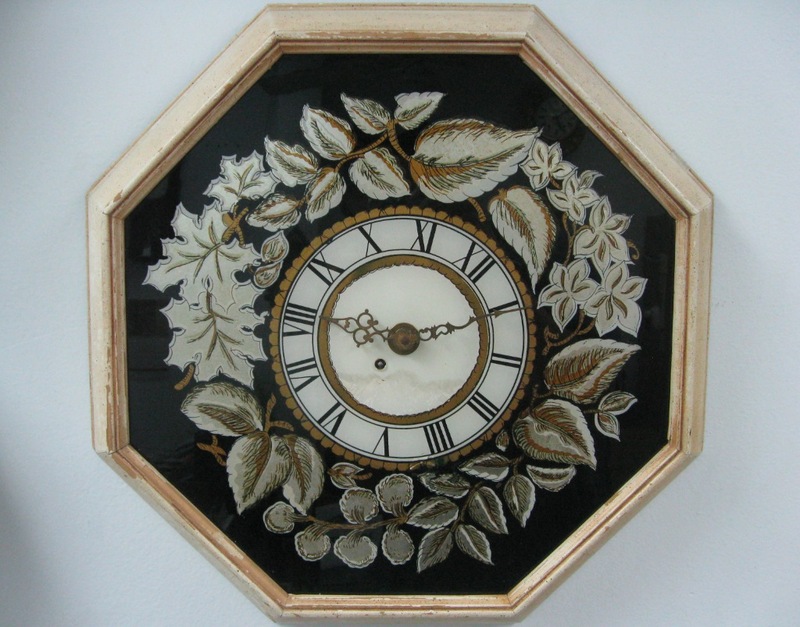 For sale is a vintage 18.5 inch octagonal German wall clock. Hand crafted this large wood clock has orginal German movement. It has a beautiful painted glass dial which is black with floral pattern. The dial does have a tarnish in lower right center. Wind every 8 days.